Kaziranga is the oldest park in Assam that covers an area of 430 Sq kms along the river Brahmaputra on the North and the Karbi Anglong hills on the South. It is extremely rich for its biodiversity and one gets amazed to see the flora & fauna of this beautiful landscape. Kaziranga is the oldest park in Assam that covers an area of 430 Sq kms along the river Brahmaputra on the North and the Karbi Anglong hills on the South. 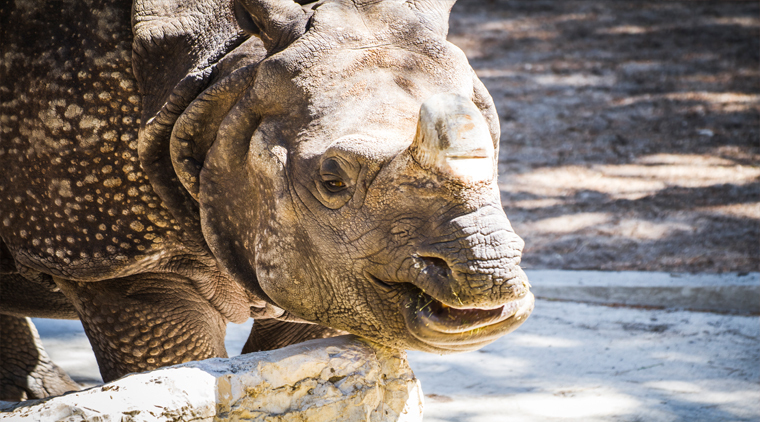 Kaziranga has been designated as a World Heritage site as it boasts of almost two-thirds of the total world population of one horned Rhinoceroses apart from being the protected forest with highest density of tiger population. 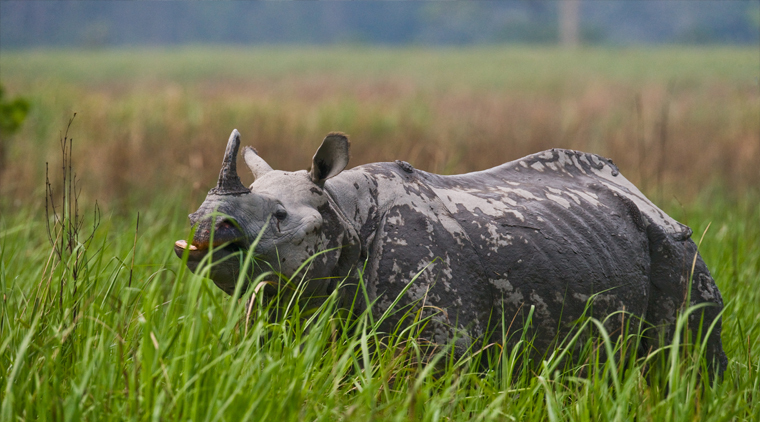 Kaziranga is extremely rich for its biodiversity and one gets amazed to see the flora & fauna of this beautiful landscape. 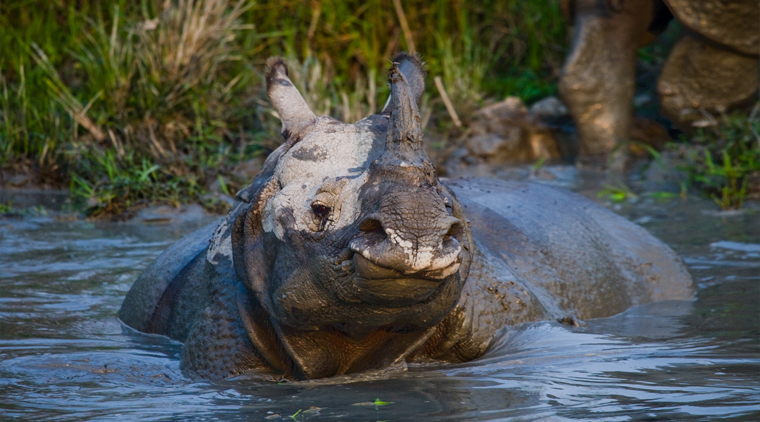 Waytoindia organises regular wildlife tours to Kaziranga National Park both for groups and individual travellers. To stay in best of the resorts and enjoy wildlife safari in Kaziranga National Park, book your Kaziranga National Park Tour with Waytoindia.com today ! Upon arrival at Guwahati airport / railway station our representative shall meet you and assist you to your pre-booked hotel. On arrival, check into the hotel. Later visit Kamakhya Temple, a Major Hindu Pilgrimage site.Depending upon time in hand you may also visit Umananda Temple, , Srimanta Sankardev Kalakshetra , Assam State Museum. Later reach back hotel.Overnight in hotel. 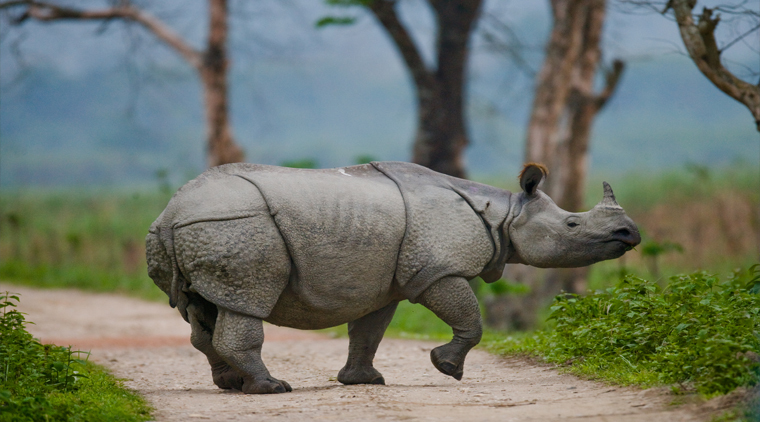 In the morning after breakfast ,drive to famous Kaziranga National park. On arrival, check-in into a Jungle resort. After lunch leave for your first jungle safari into Kaziranga National Park. This day you may visit the Eastern Range of Kaziranga, also known as the Agoratoli Range.With beautiful waterbodies in Agoratoli range, you would surely fall in love with the exciting bird life you would be able to see . Later reach back hotel. Overnight stay at hotel. On this day start your tour early in the morning (5:30 am) explore central Range of Kaziranga National Park on Elephant Safari. Return to Jungle resort for lunch and then proceed to Western Range of Kaziranga National Park on jeep. Return back to resort in the evening .Overnight stay at hotel. After an early breakfast in the Jungle resort, leave for another exciting jeep safari into central range of Kaziranga National Park.Later checkout from the hotel and drive back to Guwahati. On arrival, transfer to Airport/ Railway station for onward destination. •	Assistance on arrival at Guwahati. •	03 Nights accommodation in the hotel/resort on double / twin sharing basis. •	All 3 meals will be provided at Jungle Resort only. •	3 time Jeep Safari at Kaziranga National Park. •	1 time Elephant Safari at Kaziranga National Park.